- Immediately stop the activity that triggers the cramp. - Dont go against the cramps. - Breathe gently through your nose and exhale through your mouth. 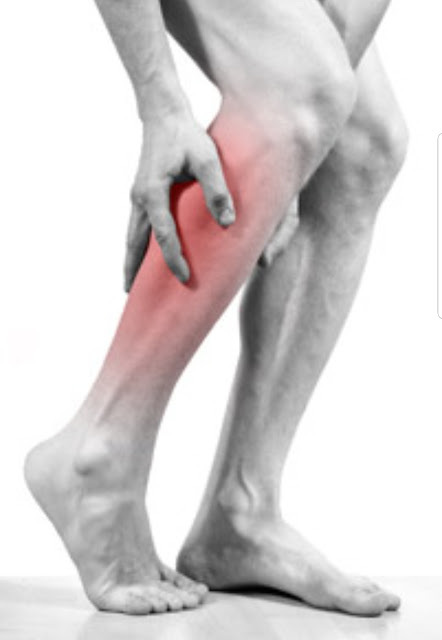 - Lightly stretch the muscles following the directions of the cramp and once cramps has subsided, stretch slowly against it. - Only lightly massage the area while stretching it. - Keep the area warm. Apply heat pad to the area. Hot towel surrounding the area will give much relief. - Immerse your toes in hot (body-tolerated temperature) water with epsom salts. - If you have diabetes or spinal cord injury, make sure you get another person to test the level of heat in the water. Because of your diabetes, your sense of feeling heat might be compromised. - Hydration is a must. Drink up. 8 to 12 glasses at least, even during Ranadhan where cramps happen the most due to inadequate hydration. - You have lost electrolytes (magnesium and pottasium). Drink sports drinks with electrolydes (eg 100 plus or gatorade). It can ease you from the next wave of cramps. - Eat nuts and sunflower seeds for magnesium and dates and bananas for pottassium. Once your cramps have subsided, move. Walk around. This will send physiological signal to your muscle that it needs to contract and relax. Exercise movements regulates blood flow to the area. Perform no. 1 to no. 5 exercises in succession, 3 times with 30-60 seconds rest in between, daily. As we become tired, our body releases the stress hormones cortisol causing tenseness of muscles and the body. Stretching helps to destress and relax the cramping muscles. 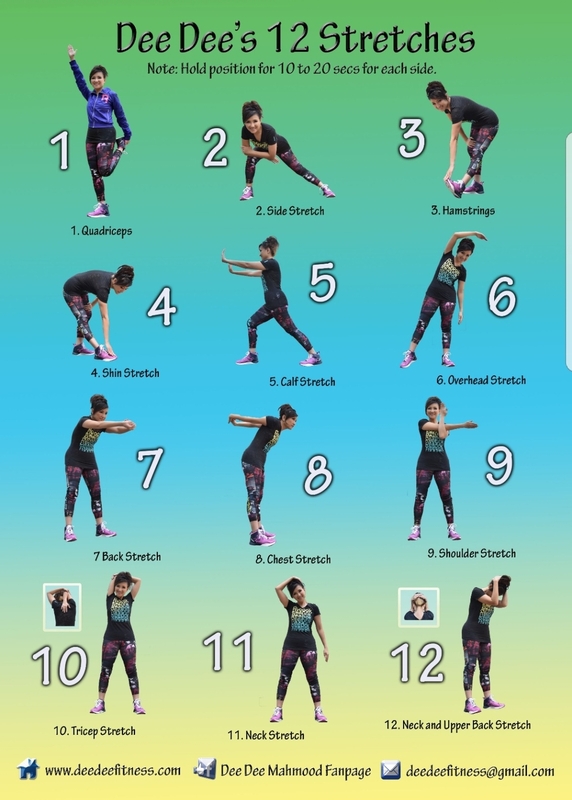 Do these 12 stretches twice daily. These are full body stretches that relaxes the whole body. Hold each stretch for 10-20 seconds. Breathe gently throughout. Do a week of this and you will see a great difference. However, if the frequency of your cramps increases despite doing all the above, please seek doctor's advice for a further check. Dee Dee Mahmood, multi award winning Celebrity Exercise Physiologist and Nutritionist, is the Academic Adjunct Senior Lecturer at Edith Cowan University Australia. Her PhD research on obesity was chosen for its impact on obesity in Asia and was accepted and presented at the President's Cup Award, American College of Sports Medicine Northwest Annual Meeting in Tacoma, Washington. Ambassadors to brands like Reebok, Norwegian Seafood Council and Celebrity Beaute, this TEDX Speaker has several signature community programs to her name, Fat2Fit Asia and Walking Football for Health Asia. She conducts synergy on community and corporate health and research collaborations internationally. Dee Dee has just been appointed the International Scientific Committee and International Ambassador for the World Conference on Exercise Medicine, supported by World Health Organisation (WHO).